projects created by our membership throughout the year! 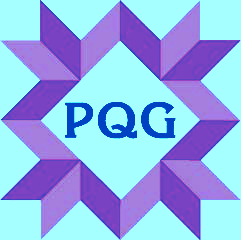 Program: ​Priti Kuman is going to demonstrate the technique of quilting done in India which is quite different than our techniques. We will all participate and she will teach us how to do it as we each make a sample. Each person will need to bring 4 or 5 squares of light weight fabric - 6 inches square and a piece of lace to finish the raw edges of the work. In addition we will each need a needle, thread, ruler, small scissors, thimble if you use one and tailoring chalk or quilting marker that will show on the fabric. This will be a workshop/program. There are no extra charges. Visitors will be asked to pay the $5 visitor fee. ​Raffle tickets for our raffle quilt are available for each guild member to pick up at our monthly guild meeting. Each member is asked to sell as many tickets as possible. Please remember that the money raised from the sale of these tickets is the way we pay for our speakers, meeting space rental, Community Outreach supplies, etc. More information and photos of our raffle quilt can be found on the "Raffle Quilt" page (click on the tab above). Thank you!!! We are preparing for our 2020 quilt show next Spring. We would love for all guild members to volunteer. Your help will make our show a success. Working with your fellow guild members is a fun and rewarding experience. If you are interested in volunteering please contact Pat O'Rork, Betty Green or Mary Jo Wimberly. 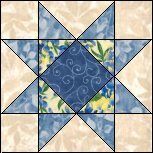 Check our "Quilt Show" tab for more information as it becomes available.